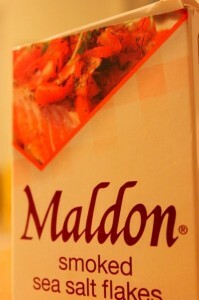 Maldon Smoked Sea Salt: Does that Make me a Foodie? How much do you suppose I paid for this 8-ounce box of smoked salt? 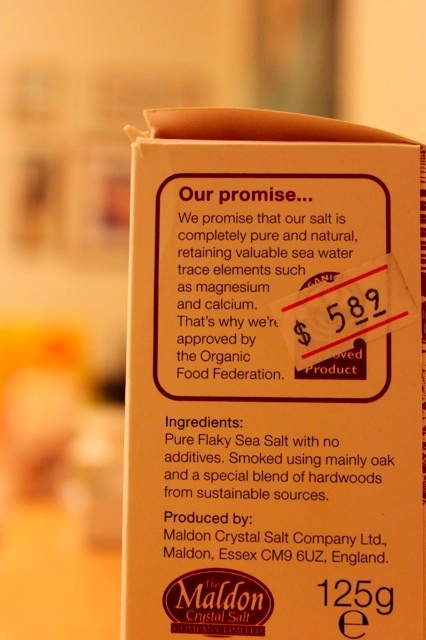 I read about it somewhere, so I was prepared to spend a little more than I normally would on salt, which is to say, more than I’ve ever thought about paying for salt, since I rarely think about salt. But it’s imported from England! And it’s organic! And I’ve read that Jamie Oliver uses it on everything, which shouldn’t sway me in any respect, but did. Hence, my $6 8-ounces of salt. But it is good. I use it on lots of things. 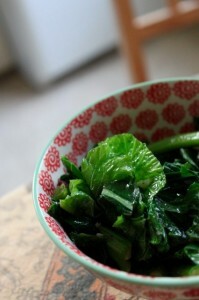 In particular, I’ve been using it to finish off sauteed greens. I’ve been really into those lately. I think my body must be trying to tell me something. I buy a big ol’ bag of greens (mustard greens, spinach, turnip) from Trader Joe’s. 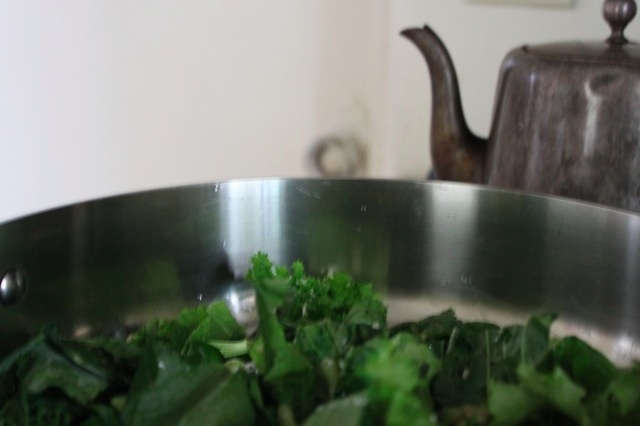 I sautee a clove or two of garlic in a little olive oil, then I add a handful or two of greens, mix ’em up, dump a very small amount of water in there (about 1/4 cup? ), and cover. 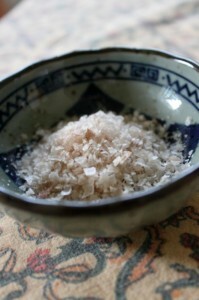 After about 5 minutes I sprinkle with this smoked sea salt. So easy. So green and…tangy. The salt gives it just the kick it needs to send it over the top. I eat this on top of rice and beans and I’m just happy as a sand boy. I mean, look at this! So. Yes, I paid $6 for smoked sea salt. Does that make me some sort of foodie?